* Scientists determine the nation’s safest places to ride out a zombie apocalypse. Now the trustees of Wayford Woods have announced ‘fairy control’ methods which will curb the “profusion of elfin construction”. Trustee Steven Acreman said the trend was “in danger of getting out of control” but stressed he was not “anti-fairies”. “It’s a very complex situation and nobody’s admitting that they’re evicting the fairies,” he said. * “These beliefs persisted into recent times,” says Butler. “For example, in 1895 Michael Cleary convinced his family and community that his wife, Bridget, was a changeling. This was confirmed by a traditional fairy doctor, who attempted a herbal cure. When that didn’t work, they threatened her with fire, doused, and finally burned her to death.” Well, that’s certainly less charming. * So by all means, criticize teachers when it is warranted. But resist education reformers at all costs, particularly when they rationalize their reforms as a way to address the problems of the teaching force. Education reformers, no matter their intentions, are the enemies of a unionized teaching force. They are the enemies of public education. * Sweet Briar’s Sudden Closure Plans Leave Students and Employees Scrambling. I hadn’t even thought about how impossible it will be for Sweet Briar faculty to sell their homes. What a nightmare. * Who Gets the Endowment? I really hope higher ed media watches the dispersal of Sweet Briar’s endowment and property very closely. * And of course Forbes has a handwavey plan to save Sweet Briar by firing all the faculty and replacing them with MOOCs. * The Woman Behind #NAWD. 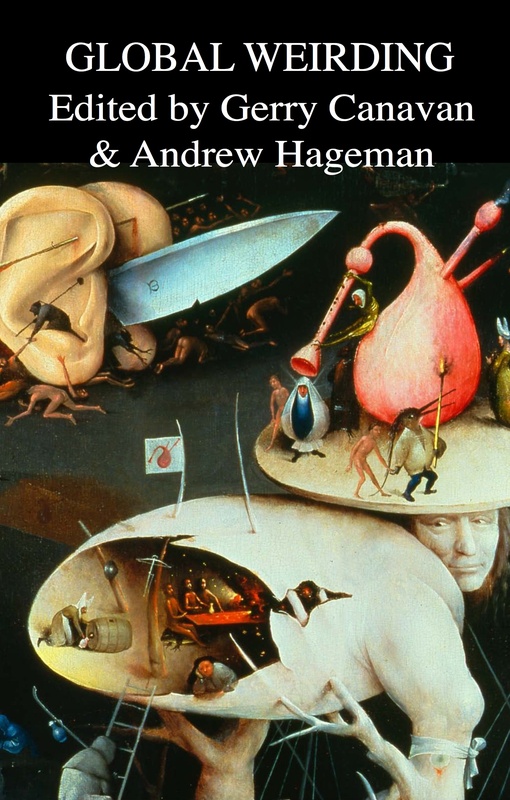 Indeed, at the heart of the standard capitalist narrative is magic, as if the will to realize the abstract ideal of a cornucopia for all will itself — through fervent wishing and belief that can only be called religious — bring about the imagined state. It is the “invisible hand” idea from Adam Smith — the conviction that there really is a hidden force that given free rein sets everything aright. It is the God meme in capitalism and its writings, Smith’s among them, that is to capitalism what the Torah is to Judaism, the Gospels to Christianity, and the Koran to Islam: holy texts whose authenticity and reality must not be challenged or questioned unless as an adolescent moment of doubt, eventually subsumed by the re-embrace of total belief. * In the short term, the contract faculty who teach the majority of courses at York University are striking for higher wages. In the long run, contract teaching needs to be abolished. * The Unintended Consequences of Borrowing Business Tools to Run a University. In some cases, regulation, not deliberative choice, has led campus leaders to rely on business advice. For example, the Taxpayer Bill of Rights II, signed into law in 1996, requires many of us to hire compensation consultants to ensure that “disqualified persons”—presidents, provosts, vice presidents for finance and administration, etc.—have not received an “excessive benefit” such as inappropriate compensation.In all situations that I have observed, this process has had unintended consequences. Using sophisticated tools developed for industry, the consultants have demonstrated that many higher-education leaders are undercompensated. * Raped on Campus? Don’t Trust Your College to Do the Right Thing. I’d see the story about Oregon’s admin raiding the campus health center for ammo to use against its own students, but I’d never seen the outrageous legal justification for it before now. If you are a student and seek counseling at your college’s counseling center, your medical records are most likely not protected by the typical medical-privacy laws, otherwise known as the Health Insurance Portability and Accountability Act. Instead, they fall under the aegis of Ferpa, just as Oregon said. And compared with Hipaa, Ferpa is about as protective as cheesecloth. * This Is What It’s Like To Go To Court In Ferguson, Missouri. DOJ Finds Ferguson Police Routinely Discriminate. Ferguson Police Tolerate Sexual Harassment of Female Officers. What Is Wrong With the Ferguson Police Department? Particular lowlights from the DoJ report. * Ferguson, Inc: The city’s protest movement tries to find a path forward. * What’s happening here is fundamentally simple: the surveillance state enforcing surveillance as the normative form of care. The state cannot teach its citizens, because it has no idea what to teach; it can only place them under observation. Perfect observation — panopticism — then becomes its telos, which is justifies and universalizes by imposing a responsibility to surveil on the very citizens already being surveilled. * Lao Science Fiction On the Rise. * 1906 novel predicted what New York would be like in 2015 exactly. * CSU profs: Stagnant pay pushing us out of middle class. * American Airlines To Phase Out Complimentary Cabin Pressurization. 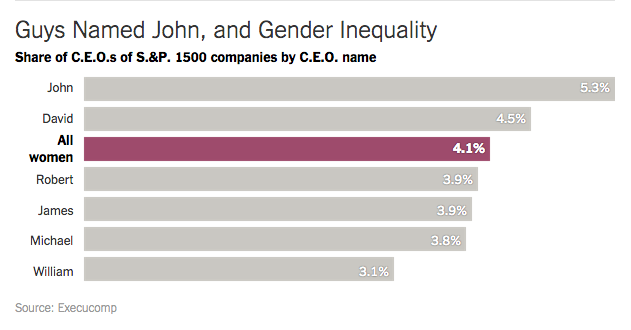 * More Companies Are Run By Men Named “John” Than By Women. Just lean in! * Writers Block: TV Writers’ Rooms Have Even Fewer Women, Minorities Than Last Year. * Douglas Adams made me a writer: Neil Gaiman salutes his friend and inspiration. * The power of play: The effects of Portal 2 and Lumosity on cognitive and noncognitive skills. * Lots of Cases of Synesthesia Are Based on Alphabet Magnets. * Where’s The Funding For Women’s Soccer? * Why Don’t Men Kick Each Other in the Balls? * A singular event that has never happened in history before: Kenosha officer admits to planting evidence in homicide case. * 2016 watch: Bernie’s Reasons Why Not. 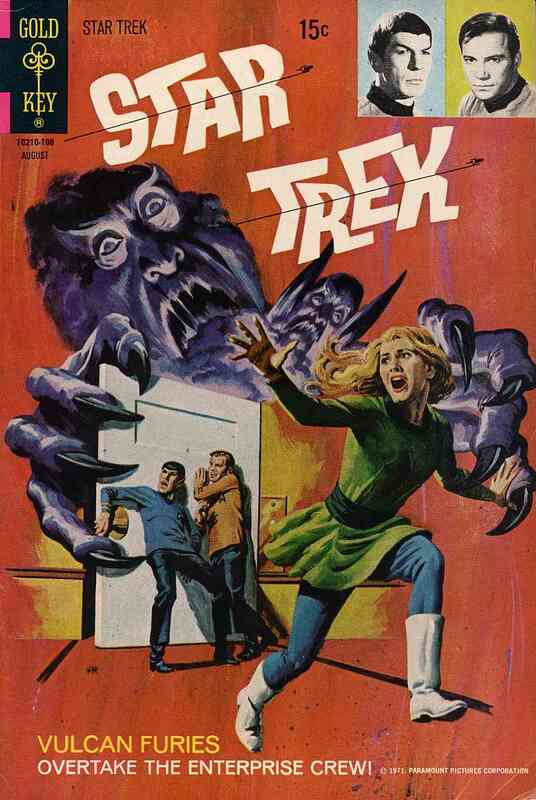 * And Boing Boing has your gallery of Star Trek comic book covers. 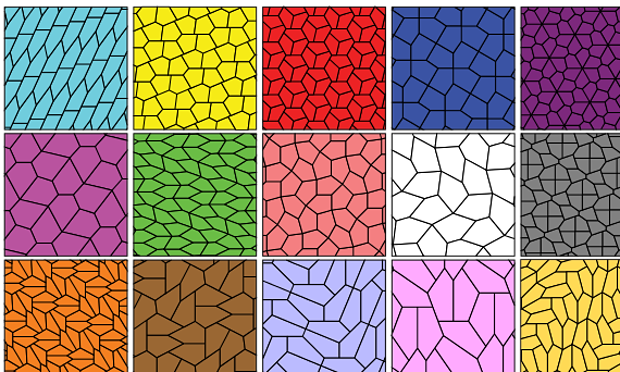 Wednesday Links! Some Especially Good Ones! * Paradoxa 26, “SF Now,” is on its way, and has my essay on Snowpiercer and necrofuturism in it. Mark Bould and Rhys Williams’s introduction to the issue is online. * Extrapolation‘s current call for reviewers. * UCR is hiring: Jay Kay and Doris Klein Science Fiction Librarian. * Nnedi Okorafor, Ytasha Womack, Isiah Lavender, and Sigal Samuel discussion #BlackStormTrooper. * NASA Officially Announce Plans To Put Humans On Mars With Orion Space Capsule. We just can’t afford to throw bricks at students’ heads any more — not in these tough times. * Teaching fellows strike at the University of Oregon. * “Hypereducated and On Welfare”: The adjunct crisis hits Elle. * Stefan Grimm and academic precarity: 1, 2. * Meanwhile: College Hilariously Defends Buying $219,000 Table. * Imagine a World Without Prisons: Science Fiction, Fantasy, Superheroes, and Prison Abolition. * Against New Atheism: The “New Atheists” have gained traction because they give intellectual cover to Western imperialism. 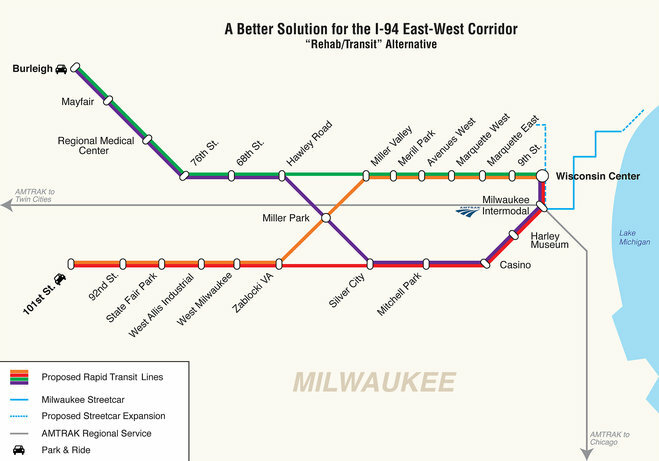 * The mass transit system Milwaukee didn’t know it needed. Now, if you could just snake another couple lines up the lake side… More links below the map. * The Ferguson PD victory lap continues: Ferguson Police investigating whether Michael Brown’s stepfather intended to incite a riot. 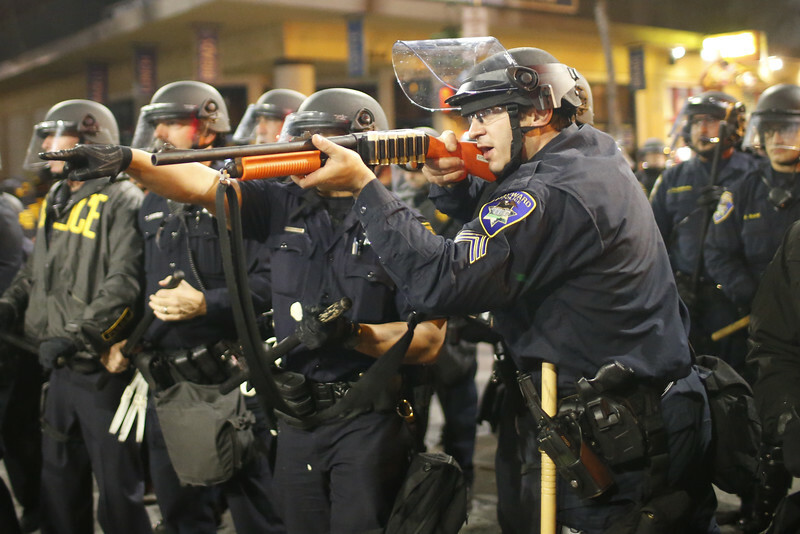 * How Police Unions and Arbitrators Keep Abusive Cops on the Street. * How One Woman Could Hit The Reset Button In The Case Against Darren Wilson. * Utah’s Insanely Expensive Plan To Seize Public Lands. “…a price tag that could only be paid if the state were able to increase drilling and mining.” Oh, so not insane, then, just evil. * There are boondoggles and there are boondoggles: Federal prosecutors subpoenaed dozens of records and documents relating to the Los Angeles Unified School District’s iPad program, including emails, proposals and score sheets dealing with the bids that led to a multi-million Apple contract with the district. * Why I Am Not Coming In To Work Today. * And the market for Girl Scout cookies is about to be disrupted. I gained ten pounds just reading this story.